Should I Sue for My Car Accident? Even the smallest car accident can send your life into a tailspin. 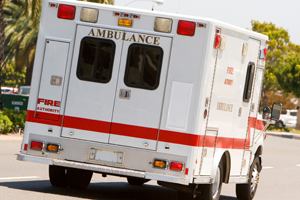 More serious accidents can affect you for a lifetime. Medical expenses due to injuries related to the accident, damage repair, loss of work… all of these things can alter your life for years if not an entire lifetime. Add to that, the stress and confusion of dealing with other drivers, insurance companies and police. Such a compendium of issues at one time is a tremendous mental strain on an individual. When all this occurs, victims often find themselves financially strapped with many unexpected bills threatening to destroy their lives. 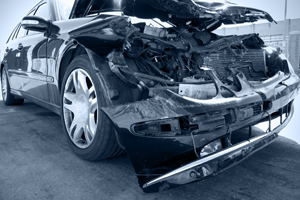 Seeking adequate compensation for injury and loss, the thought of suing for the car accident comes into existence. 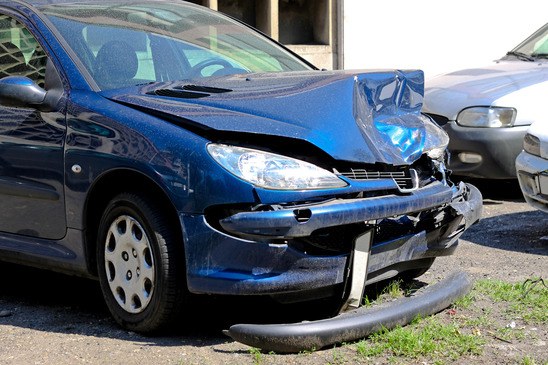 Several factors determine the likelihood of a successful lawsuit after a car accident. Most often, people choose to sue after a car accident when going through the insurance process does not provide enough money to cover all the losses received as a result of the car accident. It is especially pertinent if the other driver has no insurance and you may be forced to fit the entire bill. Unfortunately, it is a common occurrence today. Insurance companies are in the business of saving themselves money and strive to pay accident victims as little as possible. There are times, however, when an insurance company will want to avoid the hassle of trial and make a settlement offer that is satisfactory. Many car insurance claims end in a settlement, sometimes however, the victim doesn’t realize until later that the settlement was inadequate. Are Sacramento School Zones Safe? 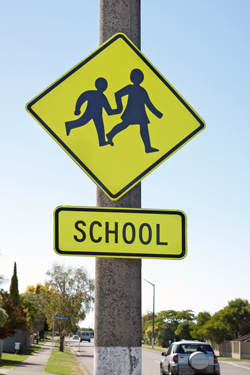 Whenever you see the yellow diamond-shaped sign with two black figures crossing a road, you know you’ve entered a school zone. Typically the speed limit drops, and drivers need to be extra cautious to avoid hitting any parents and children when school is in session. Whether or not school zones in Sacramento are safe depends almost exclusively on the drivers and the attention to the road. Most research concludes that each year roughly 100 children are killed on their way to or from school, and another 25,000 are injured in accidents around school zones. Of course, children should be taught how to stop, look and listen when crossing the street, and many school districts employ crossing guards to get children safely across the street. However, neither of those factors excuse a negligent, distracted driver who is speeding through a school zone. When a car crash suddenly goes from bad to explosive, there is little you or any other bystander can do about it. One evening around 10 pm in 2002, a California man driving a black Ferrari at high speeds suddenly lost control of his vehicle and went veering off to the left where the car struck several trees on a grassy median and then went into the other lanes before finally stopping. After that horrific crash, the car caught on fire. Luckily, the driver and his passenger were just able to make it out of the car before it was inflamed, and no one else was injured. The Ferrari did not hit any other vehicles. 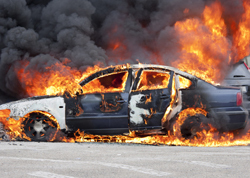 While rare, cars catching on fire are highly dangerous and definitely something you want to avoid, but do you know what to do if something like this does happen to your car? Let us tell you what you should know if you ever find yourself in this situation. Of course, every situation will be unique, but if you generally know what to do and what not to do, you’ll be ready for the emergency.